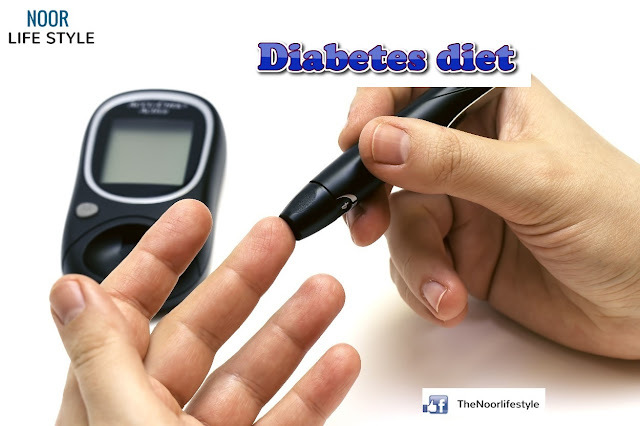 If you have discovered that you or someone you love is diabetic, you realize that your view towards your diet needs a change. Fundamentally, the Diabetic Food Pyramid Guide is associated with lifestyle. The credit of framing a food pyramid for diabetes goes to American Dietetic Association and American Diabetic Association. In order to follow the minimum amount of servings for every group in the diabetic food pyramid, you would be eating approximately 1600 calories per day. At the upper end of the food pyramid's caloric range, expect to eat around 2800 calories. Generally it is women who eat on the lower end of the range, with men eating on the middle to high end of the range, depending on their activity level. The first three groups are the largest group and are located at the bottom of the pyramid. The last three groups are the smallest group and are located at the top of the pyramid. This means that you should eat more servings of grains, beans, and starchy vegetables than of any of the other foods and minimize the servings from the last three food groups. Food is responsible for the sugar that goes into the bloodstream. 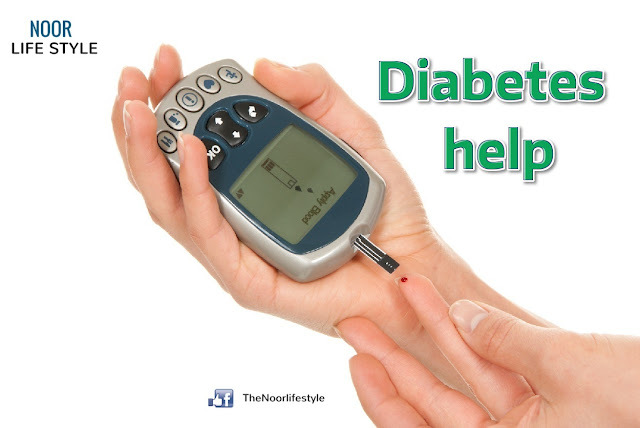 Diabetics can have more control over their condition if they know how foods affect their blood sugar levels. 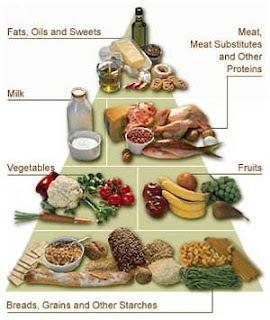 A useful tool for this is the diabetic food guide pyramid. This article will describe how the pyramid works and how to use it. Fruits and vegetables are very essential for people with diabetes and are also an integral part of the diabetic food pyramid. Diabetics should eat a little less of meat and beware of foods like potato chips, candy, cookies, which have high levels of sugar and fat. A high-fiber diet that includes fiber rich fruits and vegetables, whole grains, beans, sweet potatoes, oatmeal, zucchini, oranges and raisin helps reduce insulin dosage by 25 %. Fiber is not reduced by cooking, so cooking your broccoli is just fine. Spinach, collard greens, kale and other greens do shrink in volume once cooked but make a great meal for people with diabetics and should be eating regularly.